Do you avoid smiling because of small chips and cracks in your teeth? 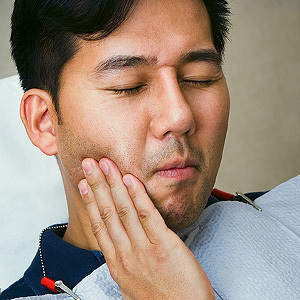 Dental bonding offers an easy way to repair these minor flaws. Dr. Carl J. Horchos, your Downingtown, PA general dentist at Chestnut Dental Associates, explains how you can benefit from bonding. Cosmetic bonding is used to treat minor dental flaws. Your dentist uses composite resin, a flexible, plastic-based material that is very similar to putty. Composite resin can be manipulated into any shape, making it a good choice to conceal or repair several types of dental issues. Resin also looks very much like your natural tooth enamel, which allows the treated areas to blend in seamlessly with the rest of your teeth. Who can benefit from bonding? Before bonding your teeth, your dentist will choose a composite resin shade that most closely matches your natural tooth color. He will etch your tooth slightly and apply a pre-bonding solution that will help the bonding material adhere to your tooth. After the bonding material is applied to your tooth, your dentist will shape it and then use an ultraviolet light to harden the composite resin. Once the resin hardens, your dentist will polish it, and you'll leave his office with a brand new smile. Small chips and cracks disappear, thanks to cosmetic bonding. If you can benefit from bonding, call Dr. Carl J. Horchos, your Downingtown, PA general dentist at Chestnut Dental Associates, at (484) 364-4292 to schedule an appointment.